Cleveland's Division of Water added water service to 70 homes in the Village Boston Heights back in March, and already complaints over customer service are rolling in. 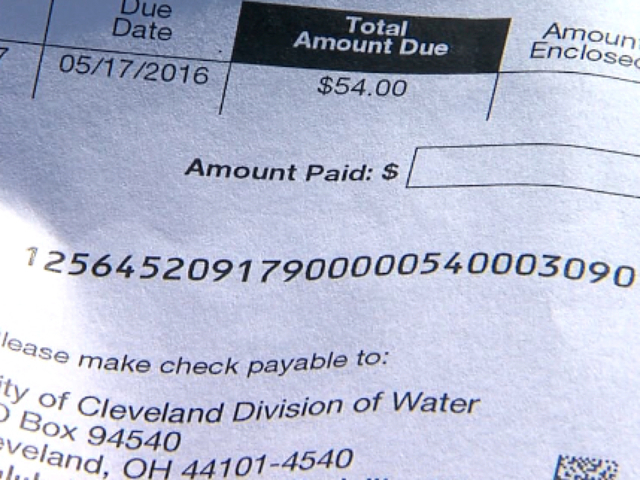 Dawn Blakeney contacted newsnet5.com after she explained she started receiving bills from the Cleveland water department before a water main was even installed in front of her Boston Heights home. Blakeney said so far she's been unable to get any answers each time she has called water department customer service. "I called every day last week and spoke to a different person," said Blakeney. "And when I called I was told it was for your water usage for the month. I said there is no water here there's no line here." "I've asked repeatedly to speak with a supervisor, I was told they do not, that customers don't speak to supervisors. I left my name and number, I request somebody call me back. I've received no phone calls back." Blakeney believes the water department need to do a better job training and monitoring its employees. newsnet5.com contacted Cleveland water officials and they said they would look into Blakeney's case within the next 24 hours. Division of water officials said they are already in the process of conducting employee audits, and pointed to a recent audit that resulted in the firing of nine water employees just last week. Water officials said the employees released were all found to be tampering with water meters at their homes. "At Cleveland Water, we take the trust of our customers seriously and work hard to make sure we meet their expectations on a daily basis. To meet these expectations, we hold our employees to the highest standard of accountability. Unfortunately, some of our employees have failed to meet these standards. Meter tampering is theft and is a serious violation of the public’s trust. After completing our due diligence and affording these individuals the due process they are entitled to under City policy, we have taken appropriate action and terminated these employees. To date, nine employees have been terminated. We do have additional employees in the administrative process, and if, after receiving due process, they are found to have been involved with meter tampering or theft, they will be terminated. Cleveland Water remains committed to protecting the trust of the public, and will continue to thoroughly investigate and review all possible theft or tampering cases. As a part of our on-going internal analysis, we are continuing to look at the water accounts for all of our employees. If we find additional instances of meter tampering or theft beyond those already in the administrative process, we will take the appropriate action."